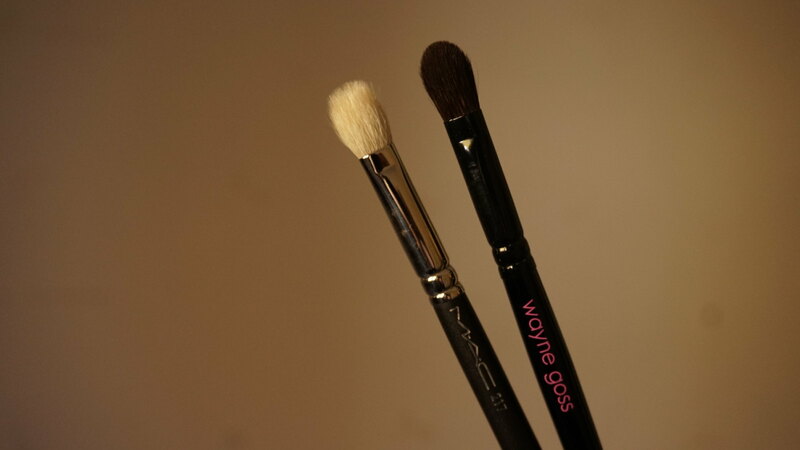 Designed by top makeup artist Wayne Goss, this versatile, Japanese-made brush set includes all the tools you need for a lifetime of flawless looks. Everything you love about The Collection, reimagined in a limited edition release. Available exclusively at Beautylish. The price is truly staggering, however when it’s broken down, each brush comes to about about $28 USD ($37 CAD). Again, not exactly the cheapest brushes but they do compare to mid-level brands such as Sephora, MAC, etc. I will note that each one of these brushes (with the exception of the new and improved Brush 01) are available to buy separately on Beautylish. 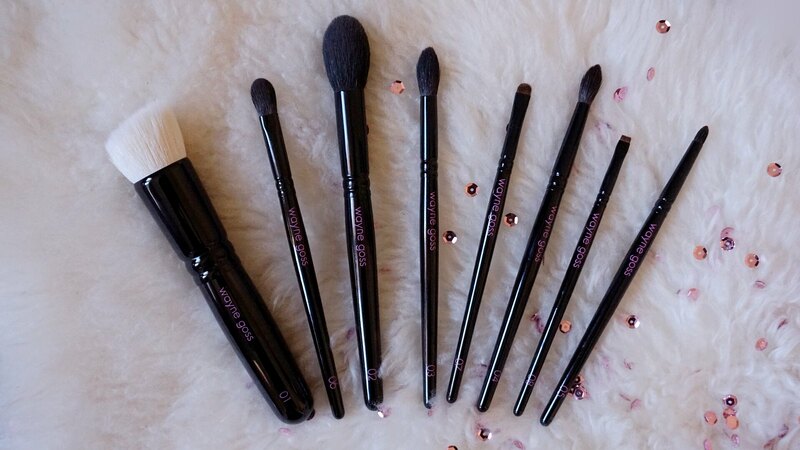 In addition, it is actually cheaper to buy all 8 brushes individually rather than buying the set (comes to $199 USD), so you’re not exactly saving any money buying the brushes as a set. Generally, the brushes feel quite luxurious. The handles are shorter than the average brush but they have a good weight to them and do not feel cheap in the slightest. I also feel compelled to note that Beautylish has impeccable customer service and shipping times – I ordered it the afternoon the set was released and received them the next morning. Shipping was also free of charge, however I wouldn’t expect anything less considering how expensive these brushes are. Let’s kick it off with the one brush that isn’t available to buy separately from the set. According to the description, this version of Brush 01 is “three times larger for fast, flawless application of your favorite foundation”. 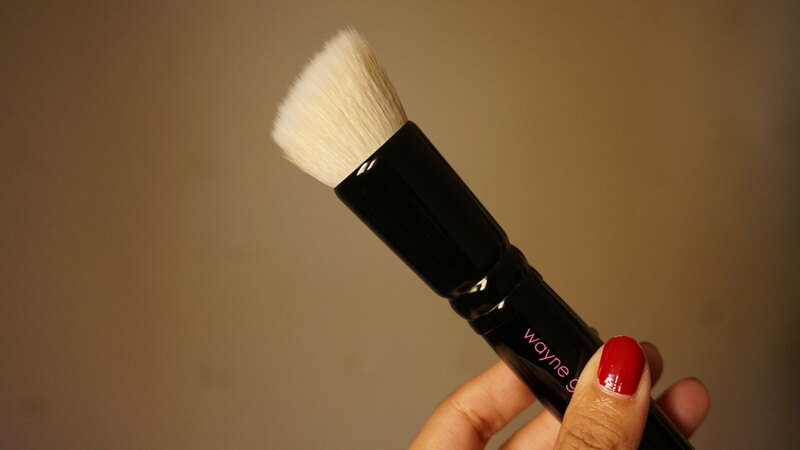 It is a duo-fibre brush with a mixture of synthetic and natural (goat) bristles. 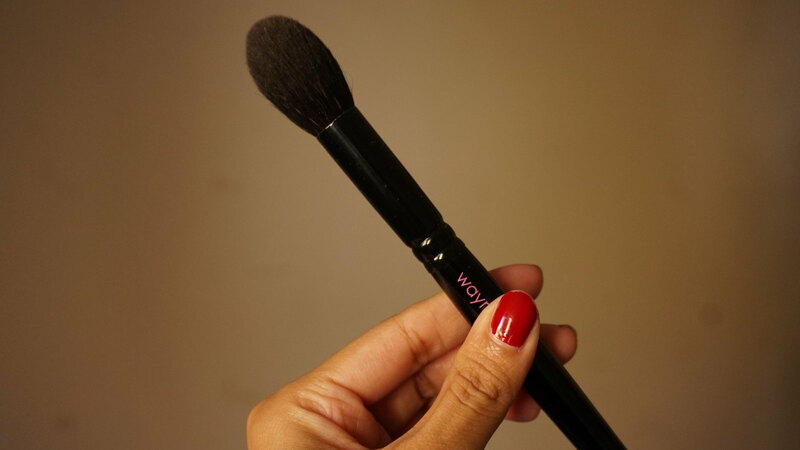 It claims to be the perfect brush for blending creams, liquids, and powders to a poreless finish in a flash. I’ve been using this brush to apply my foundation for the last week or so, and I must say I’m quite disappointed with it. I don’t find that it applies my foundation flawlessly – in fact, it’s quite the opposite. My foundation looks quite cakey whenever I use this brush, and it definitely requires a lot of time and effort to get my base to looks smooth and blended. The bristles on this brush are also quite scratchy, so it’s just not my favourite. I think the worst part about this brush is the fact that it is the selling feature of this set. As I’ve mentioned before, you can buy all 8 brushes (including the old version of the Brush 01) for $199 USD, implying that this brush is worth the extra $26 USD to buy this set. Trust me when I say that is absolutely not the case. Moving onto Brush 02. This brush is the one I was most excited for, because I was really looking forward to replacing my Sigma F35 for something that is much less scratchier. I’m glad to report that this brush lived up to my expectations. The bristles are apparently made with blue squirrel, which is very well known for its softness and is generally higher quality. 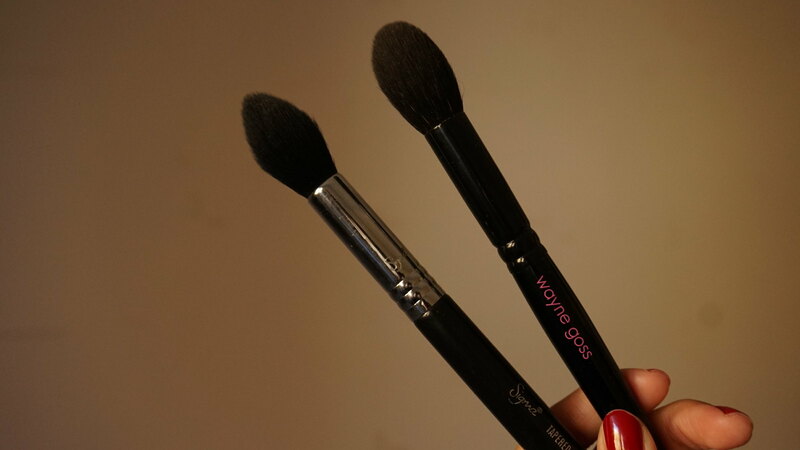 The brush itself is more dense than I expected, however it works very well for setting the under eye area with powder. It also feels so nice on the skin – not a single scratchy bristle! It feels very luxurious. 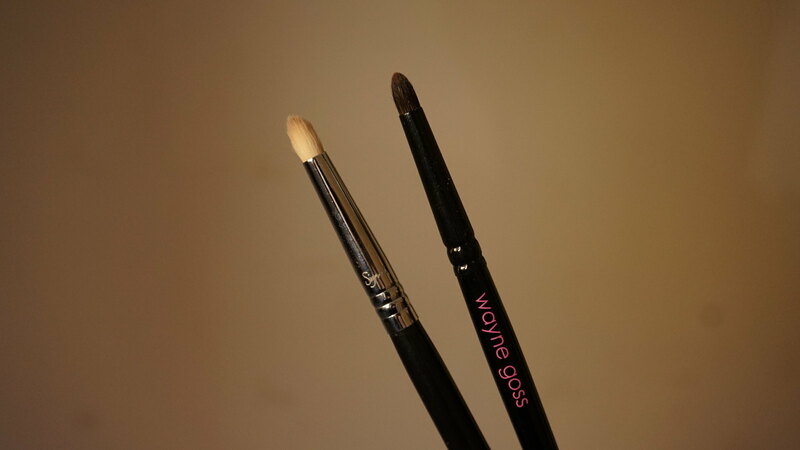 The Wayne Goss Brush 02 is definitely more round and dense than the Sigma F35 brush. I really don’t believe the F35 even compares when it comes to quality. On its own, the Brush 02 costs about $35 USD, whereas the F35 costs $25 USD. In my opinion, I think it’s well worth the extra $10. 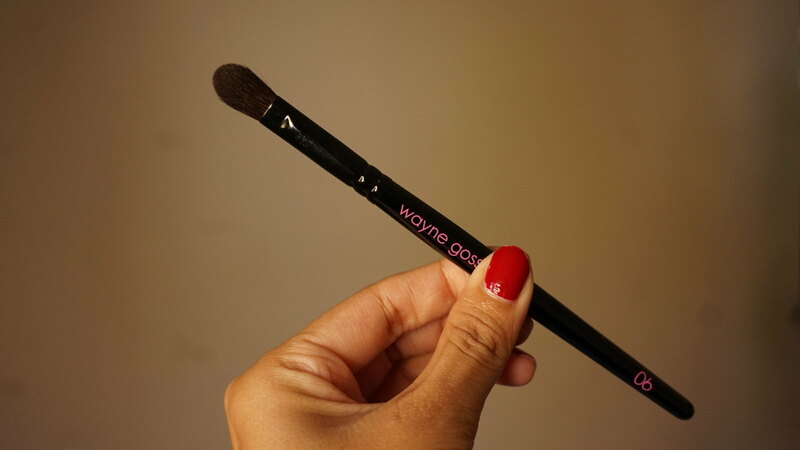 The Brush 03 is marketed as an all-purpose brush. I believe it is also made with blue squirrel. It can be used as a crease brush for the eyes, however on me I find it is a little too big to give a more precise look. It can also be used to set the under eye area or as a highlighting brush. Personally, I think it’s a little too small to be used as a powder brush under the eyes, however I think it would work quite well to highlight the nose or the cupid’s bow. The only brush that I have in my collection that could maybe come close would be the Morphe M501 brush. Even saying that makes me feel a tinge of guilt because the Brush 03 is leagues above any Morphe brush, meaning that there is absolutely no comparison. Brush 04 is described as a “medium sized crease brush. It is perfect for detail work, like getting into the creases of smaller, more hooded eyes and concealing undereye bags”. I completely agree with its use as a crease brush. It works wonderfully for more precise application of shadow in order to achieve a softened “cut crease” effect. It’s extremely soft as it’s also made with the blue squirrel fur. As for the claim of it being perfect for concealing under eye bags, I personally wouldn’t use a natural-bristled brush like this one with anything other than powders. Brushes with these delicate bristles aren’t meant to be washed often, so if you use them with creams or liquids, they can get gunky very fast and in turn would require a lot more deep cleaning. The only brush I have which comes close is the Sephora Pro Tapered Crease Brush 19. While I do like this brush, the bristles can get a little scratchy given that they aren’t nearly as soft as the ones on the Brush 04. It’s also a little more stiff and dense compared to the Brush 04, and it isn’t as tapered either so it wouldn’t give the same amount of precision. Brush 05 is a pencil brush and is recommended to be used as a precision brush. It has a fairly defined tip and is a little more dense than I expected. Again, it is made with the blue squirrel fur so it’s very soft and not scratchy in the slightest. The Sigma E30 is the only pencil brush in my collection that comes close to the Brush 03. The E30 has a little more give to it and is not as densely packed as the Brush 05. It also doesn’t have as fine of a tip as the Brush 05, however I think I much prefer the E30 over the Brush 05 for the purposes of using a pencil brush. That said, the precision that the Brush 05 has over the E30 can be useful in some other applications, but as far as pencil brushes go, it wouldn’t be my first pick. 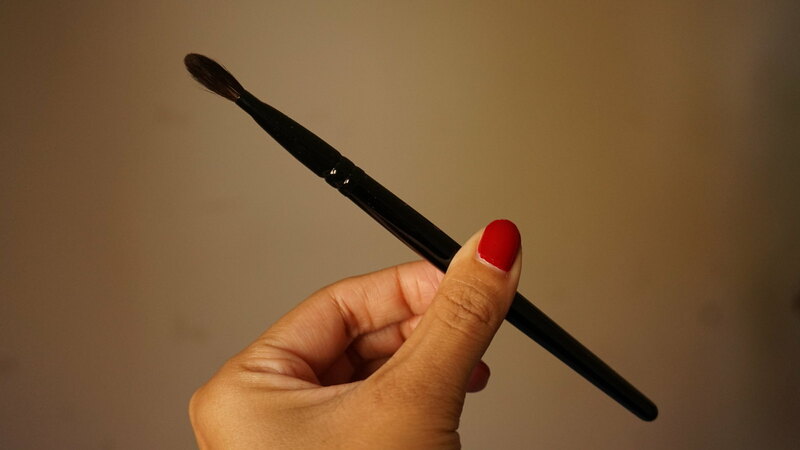 The Brush 06 is described as a blending brush. 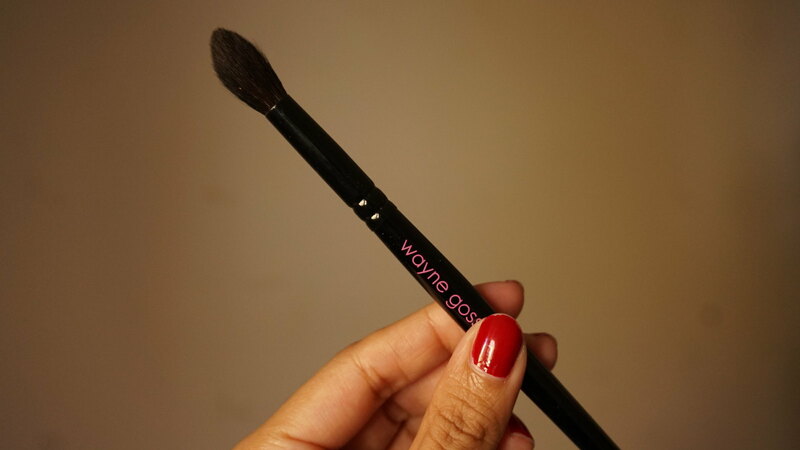 It has a rounded shape and is fairly dense for a blending brush, but it is incredibly soft. Again, this brush is made with blue squirrel. It is quite flat so it isn’t practical to use it as a blending brush. With more use overtime I believe the bristles will eventually loosen up a bit, but for the time being I find it is easier to use this brush to apply some shadow loosely on the lid. It could also be a good brush to use in order to add some definition in the crease. Brush 06 reminded me a lot of the MAC 217 brush given that they are both described to have similar functions. They also are shaped quite similarly. My MAC 217 is definitely more fluffy, however this is partly due to the fact that I’ve had it for about 3 years so the shape has, unsurprisingly, changed over time. When I first got it, it looked a lot more like the Brush 06 in the sense that it was definitely more flat and densely packed. A side-to-side comparison of the two shows the difference in terms of fluffiness. 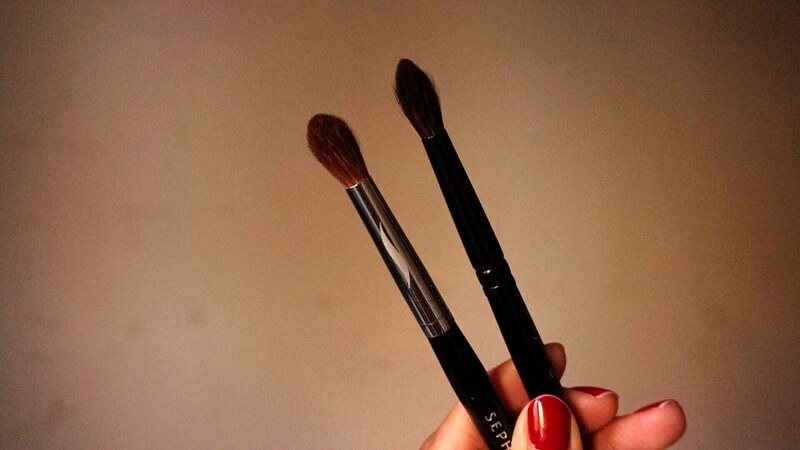 While both brushes are made with natural bristles, the Brush 06 is much softer than the MAC 217. The 217 is made with goat hair, which I don’t find to be particularly soft and can be scratchy at times. That said, I really enjoy using the MAC 217 as a blending brush, but as the Brush 06 becomes more fluffy in time, I will most likely reach for it over the 217 for that purpose. The Brush 07 is, unexpectedly, marketed as a lip brush. 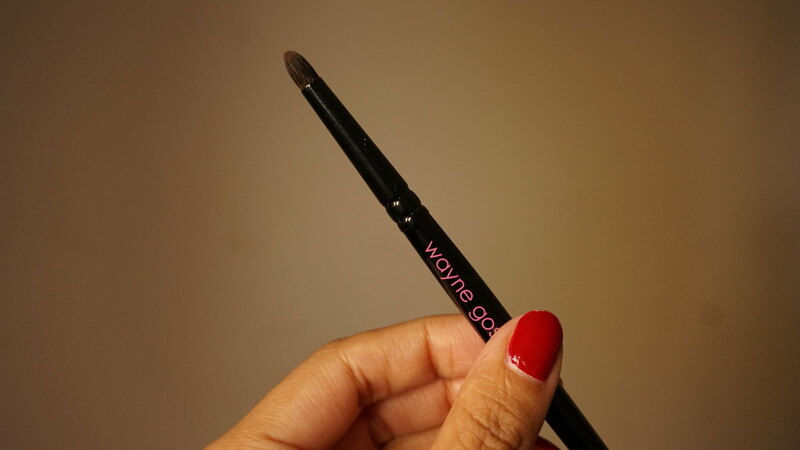 It can also be used as a liner or smudge brush, so it is basically another multi-purpose tool. I’m not entirely sure what type of bristles this brush is made out of, but it definitely isn’t blue squirrel. It probably contains a mixture of both natural and synthetic bristles. Regardless, it still feels quite soft. The brush itself is very stiff, dense, and thin, making it perfect for precision work. I can see how it would be very useful for making clean lines on the lips especially when using darker shades, however I wouldn’t necessarily use this brush for an all-over application of lipstick just because of how tiny it is. A similar brush I have in my collection is the Zoeva 237 Detail Shader brush. 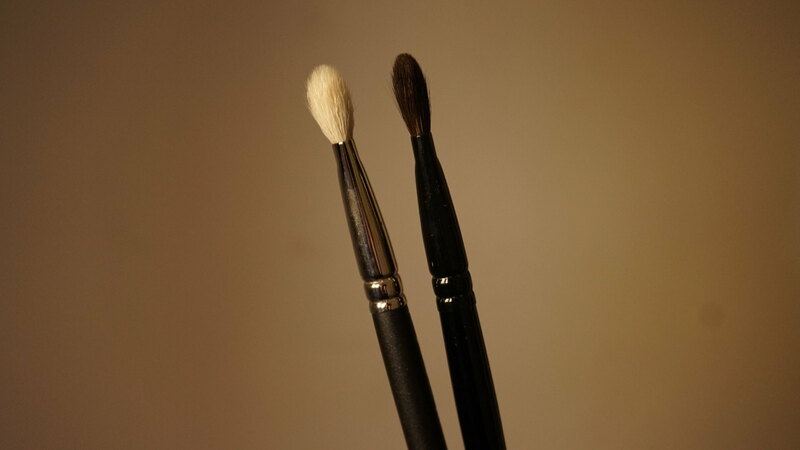 The shape of the brush is very similar to that of the Brush 07, however the bristles are a bit longer and it isn’t as thin or flat as the Brush 07. The Zoeva 237 also isn’t as stiff meaning it probably wouldn’t give the same amount of control or precision as the Brush 07. Despite those difference, I still think the Zoeva 237 is a great dupe. Last but not least, the Brush 08. 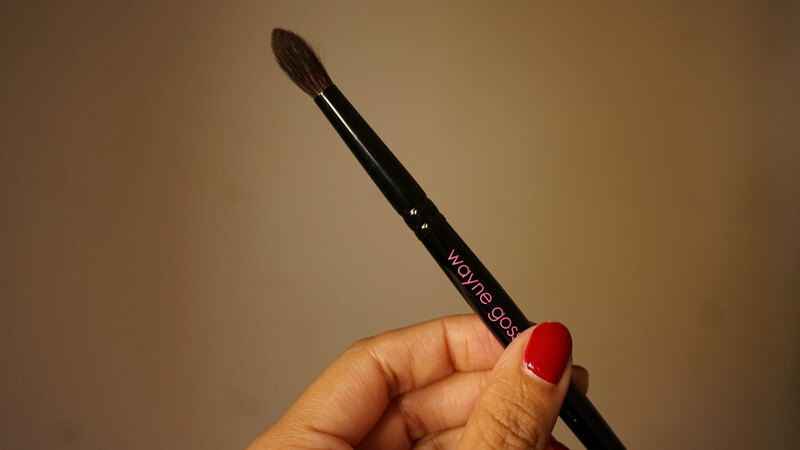 This brush is meant to be used as a tightlining brush or even a brow brush. Just like the Brush 07, I’m not quite sure which bristles this brush was made with, however I suspect it is also a combination of synthetic and natural. The suggestion of using this brush for tightlining is right on the money as it is so tiny and thin. I have a particularly difficult time tightlining because of how tightly packed my lashes are, but this brush makes it an absolute breeze. It is soft yet dense, and its size makes it very easy to stamp liner onto the lash line like nobody’s business. I haven’t used this brush on my brows, however I can see how it would be useful to create very fine strokes to mimic hairs. I do not have anything in my collection that is remotely similar to this brush, so unfortunately I don’t have anything to compare it to. 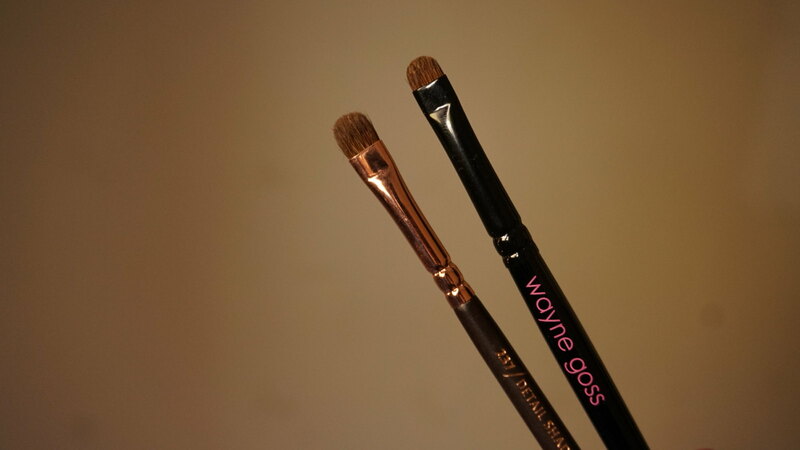 I happen to really like the brushes in the Wayne Goss collection. I think they’re very well-made and the price really can’t be beat. With that said, I don’t really think that buying the brushes in the Anniversary Set is worth it at all. As I mentioned before, you’re not really getting a deal out of buying all the brushes together – in fact, it’s actually quite the rip off. I absolutely do not think that the Brush 01 is worth the extra money it costs to buy the set. In hindsight, I probably should’ve bought a bunch of his brushes separately in order to create the “perfect” set for myself and to save some money. While I do like the majority of the brushes that came in the Anniversary Set, I don’t really think that some of them were really necessary for my needs. For example, I definitely could have gone without Brush 05, 07, and 08. 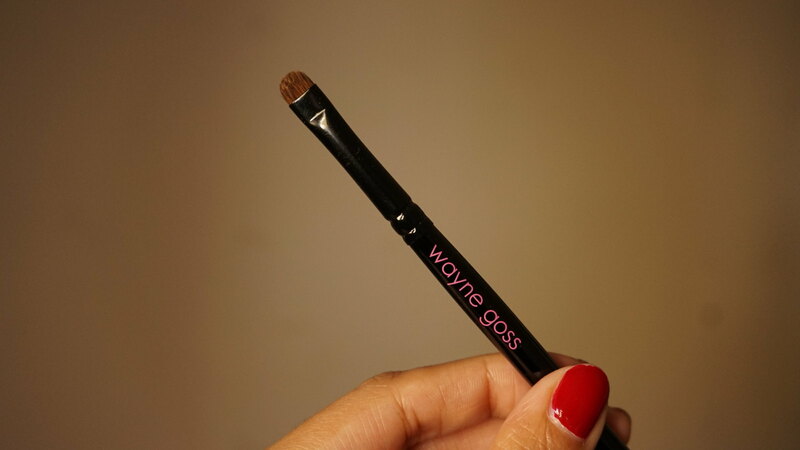 Bottom line, if you’re interested in any of the brushes in the Wayne Goss collection, I think you should definitely go for it. However, I highly encourage you to select the individual brushes that would satisfy your personal needs rather than buying a set which won’t save you any money in the long run.